here is the first casting, starting to patch and fix it before class. This looks seriously awesome! Great work! Nice Job Collier! I can see your mold line cleanup is going really well, I finally got mine out of that nasty mold lock situation, running a second pull of the full mask now. Are you using the monster makers RD-407? Your pulls looks really clean man, congrats! My mold wall and keys were OK, it went downhill on my hydrocal slinging. Just was too tired, too sloppy - plus I know mold making to be my weakness in stone so I should have gone with what I am most comfy with and lay the piece down on a soft pad, build up support using wood blocks, make my nice mold wall that rests on those blocks all while its horizontal and then make a wall barrier lip on wall that to ensure I don't have plaster spill over the mold wall line. Did you go commando with the plaster or did you support yours with burlap or hemp? I found burlap really helped me out this round, otherwise it would have shattered for sure. 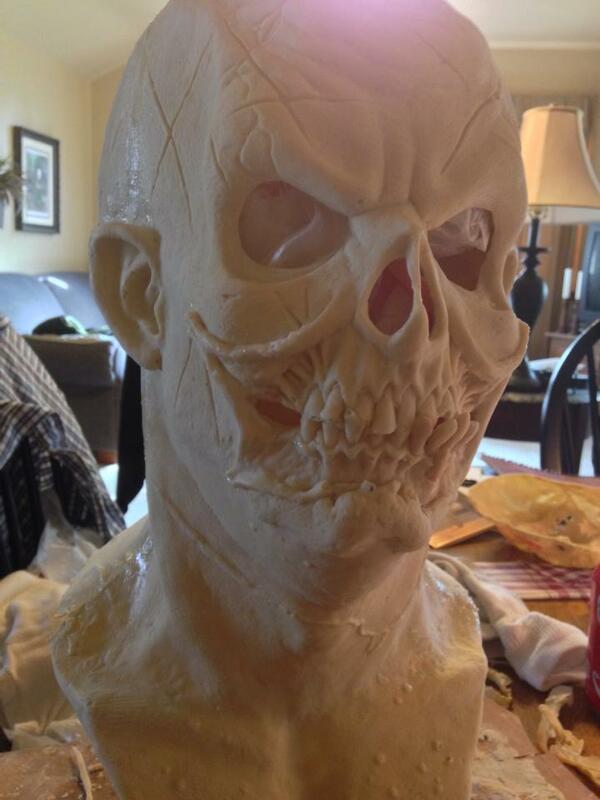 I didn't reinforce with much plaster and yes I'm using monster makers rd407 mask latex. I don't bother using any other brand cause I love the consistency of the monster makers latex. I seen castings of other brands of casting latex at this past transworld and some of them just seemed too dry and brittle, so it's become the latex of choice for me. Yea I didn't like doing my mold the upright so eventually I just laid it down so I could work the plaster in better.